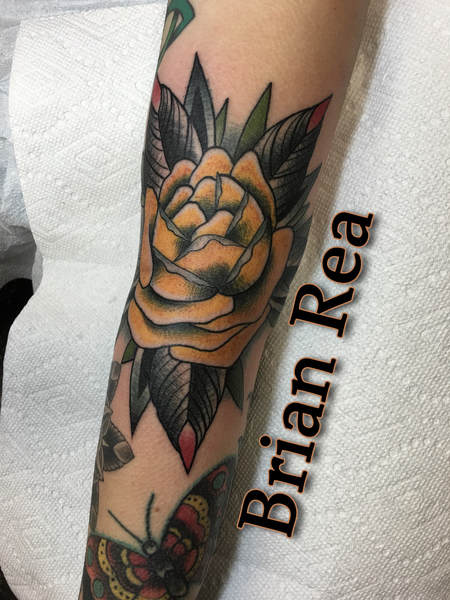 We are sad to see Brian go, but happy he is working in Portland, Oregon with such an great crew. 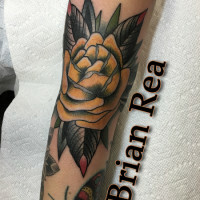 Brian's work ethic is world class and can be found either painting flash, drawing for tattoos, or making more drawings for his popular 'wall of designs' people pick from. 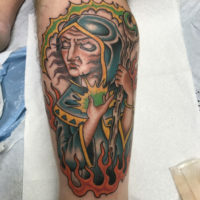 He works by appointment and walk-ins. 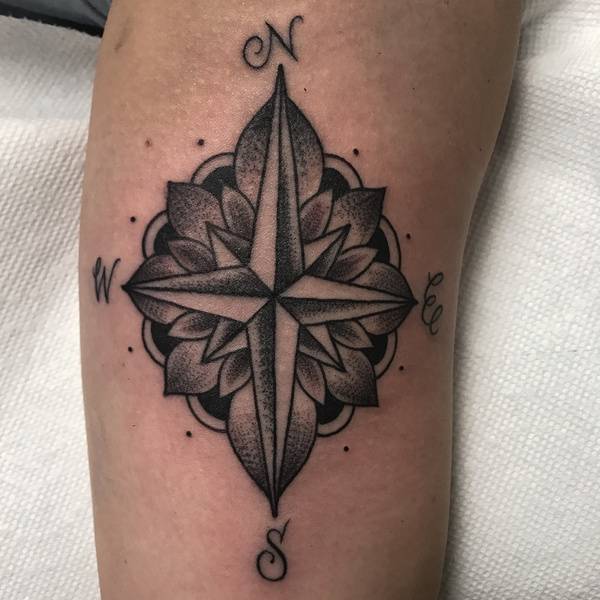 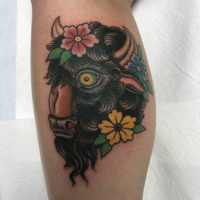 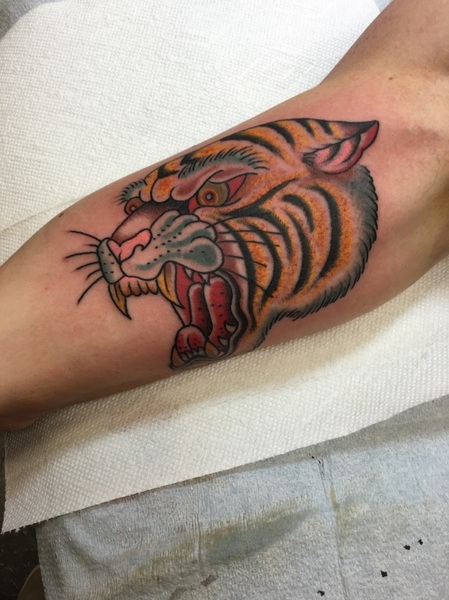 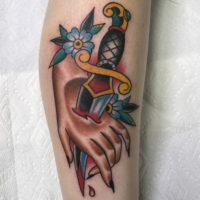 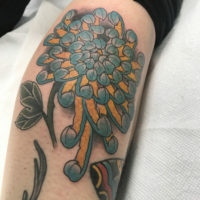 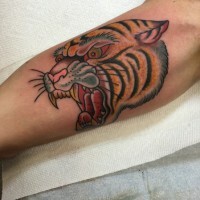 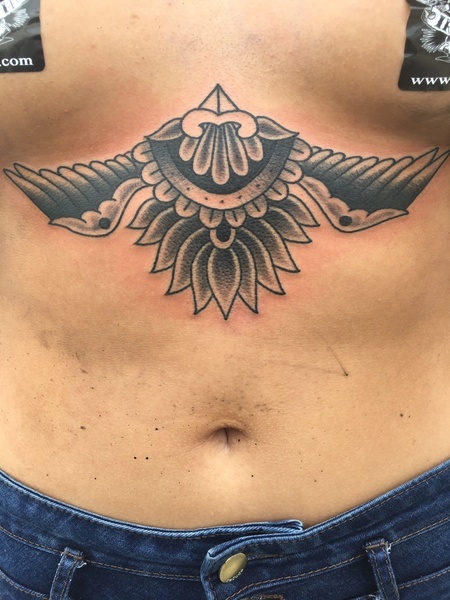 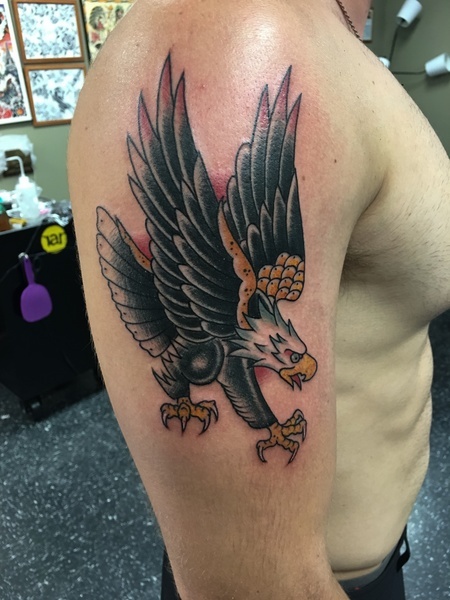 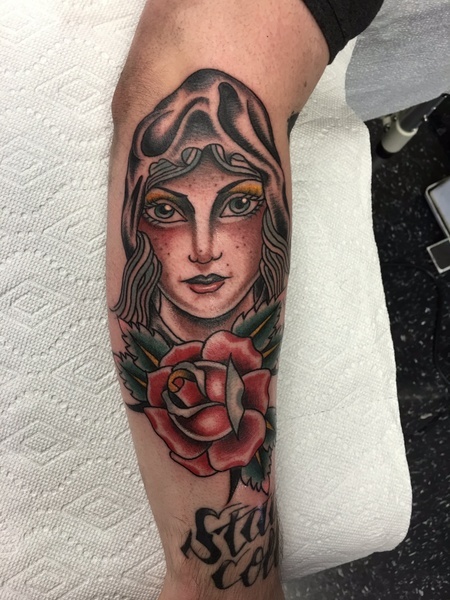 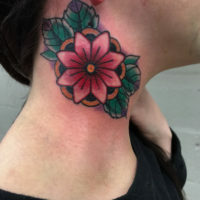 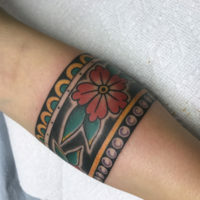 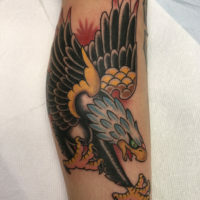 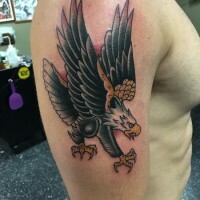 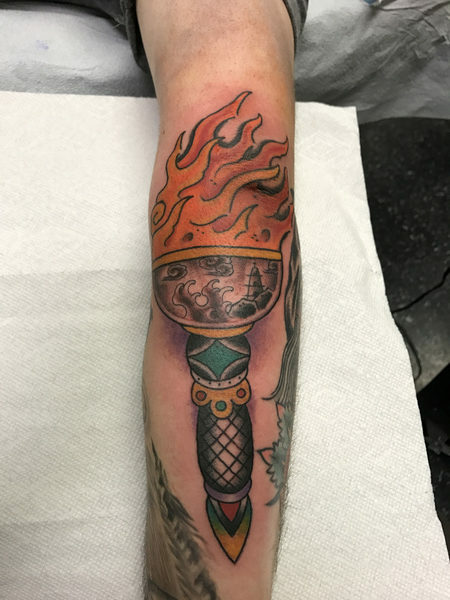 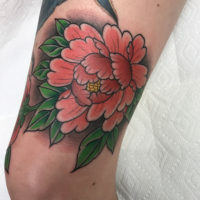 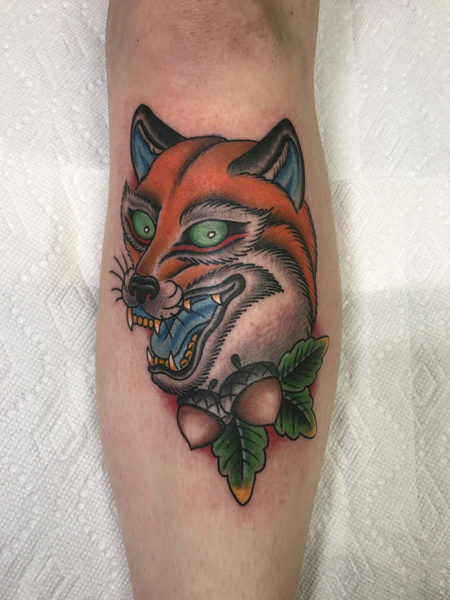 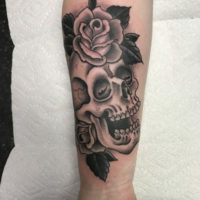 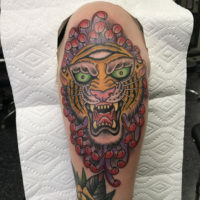 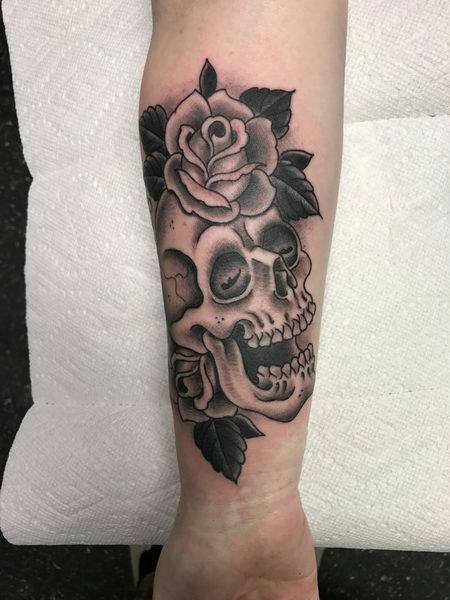 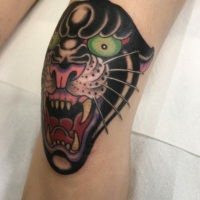 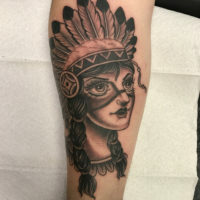 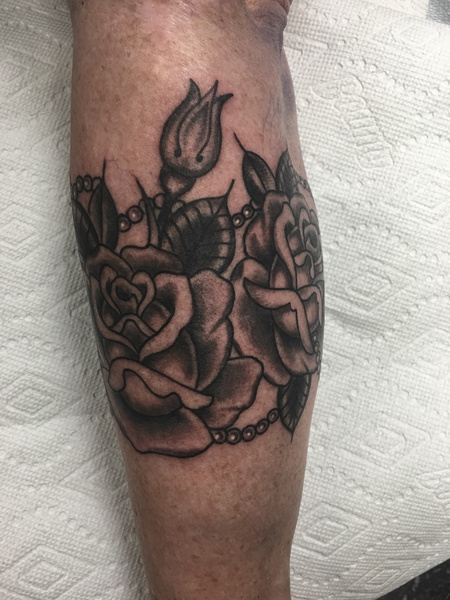 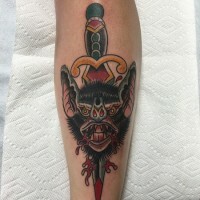 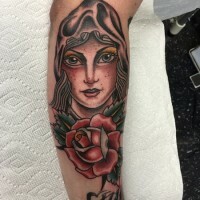 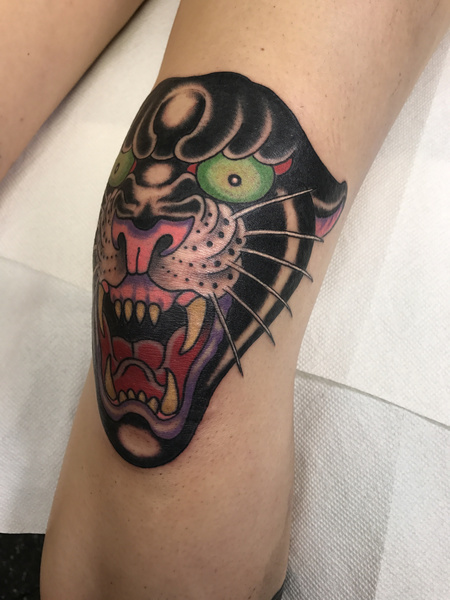 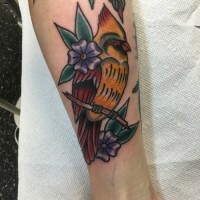 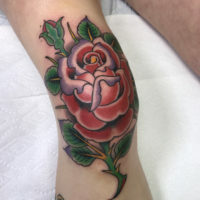 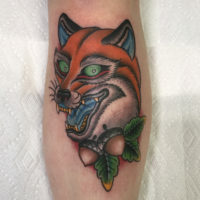 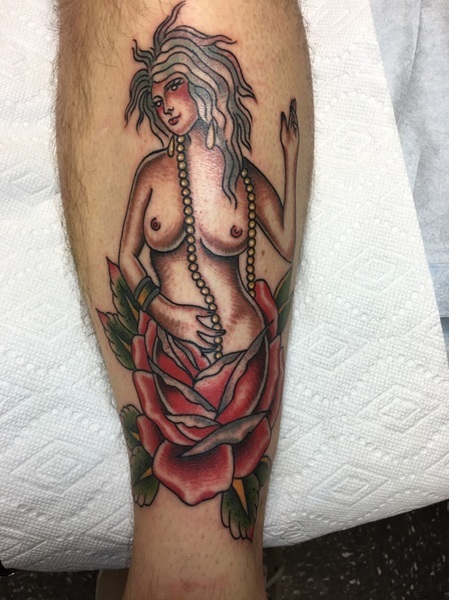 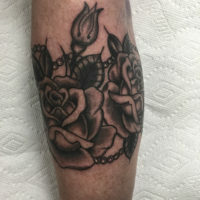 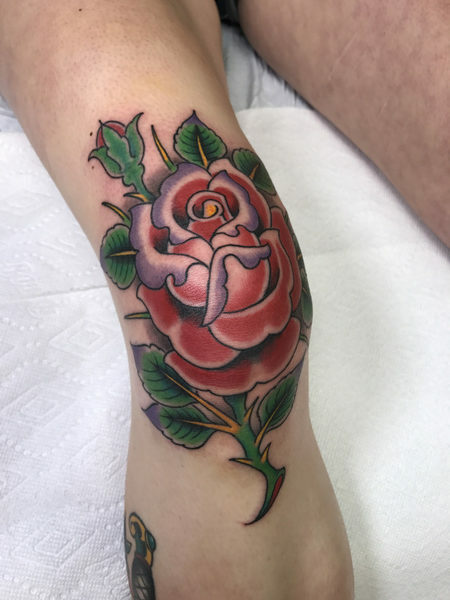 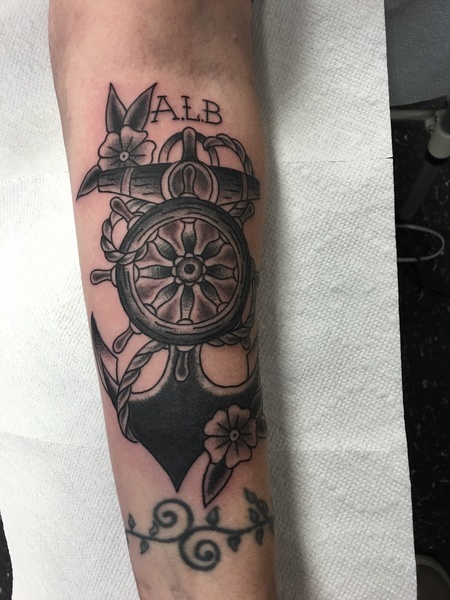 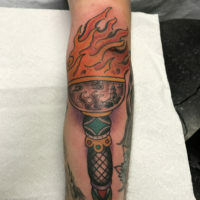 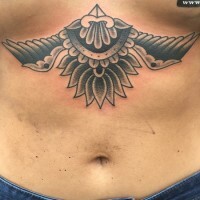 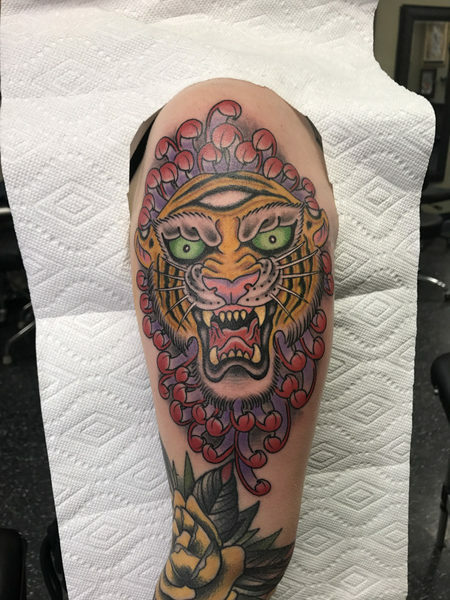 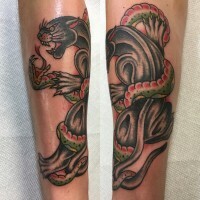 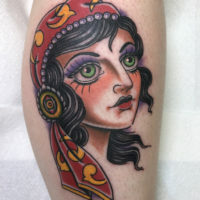 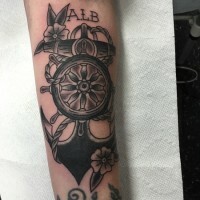 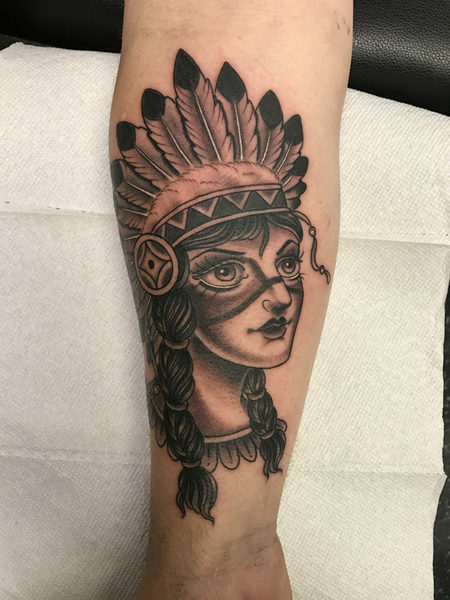 He enjoys working in a number of styles, and tattooing designs like tigers, wolfs, flowers, ladies, birds, and classic tattoo images. 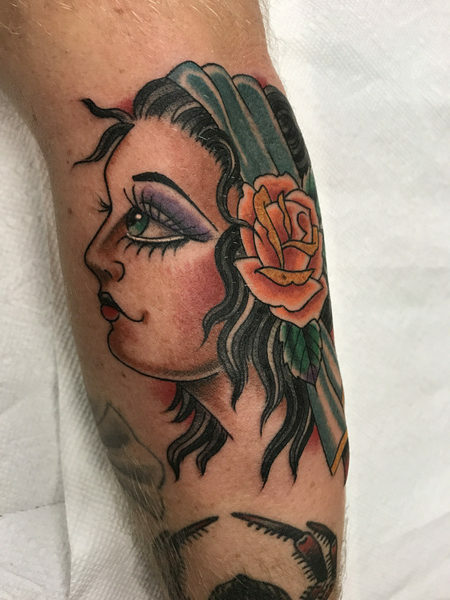 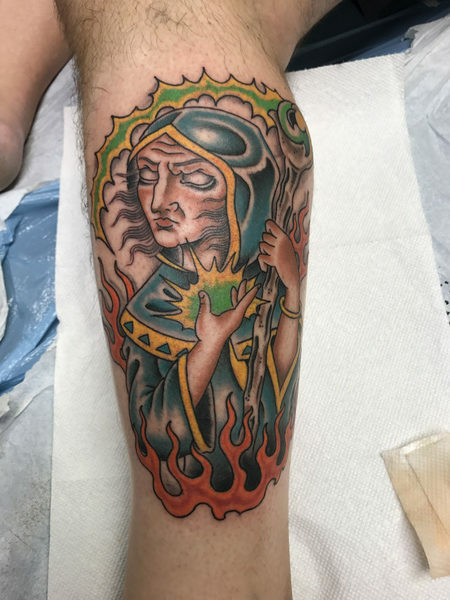 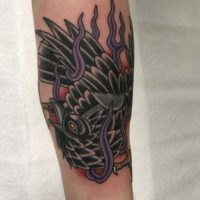 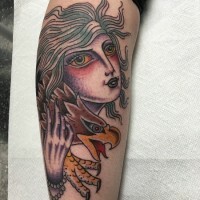 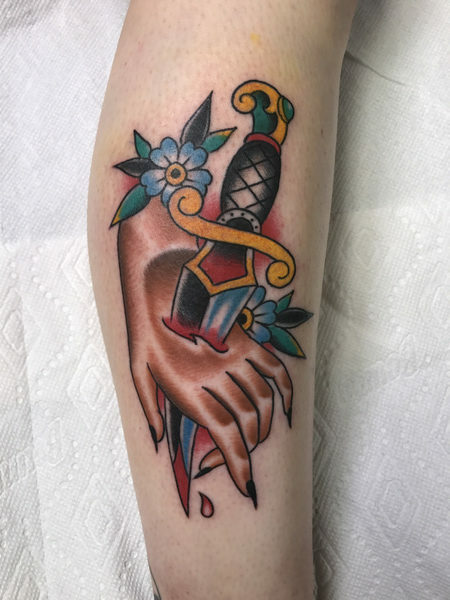 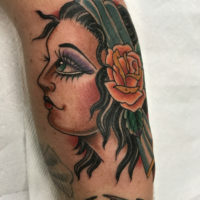 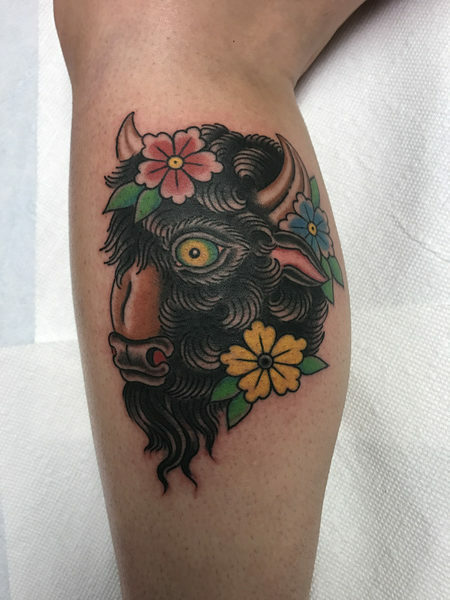 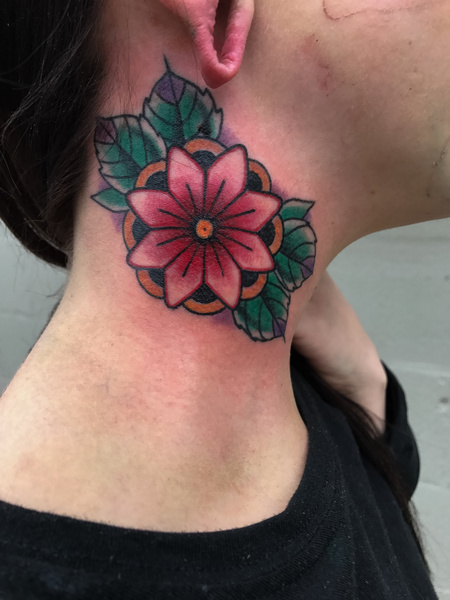 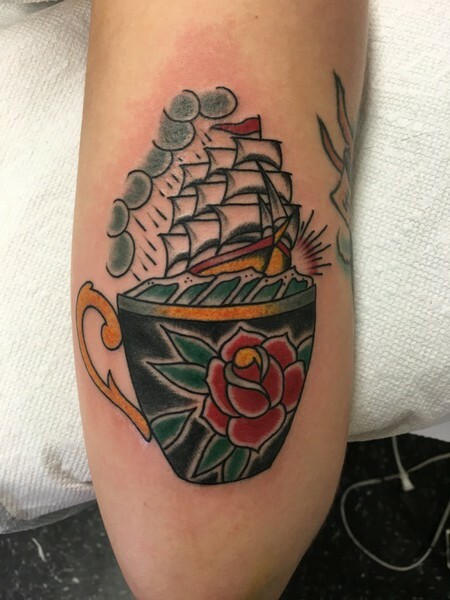 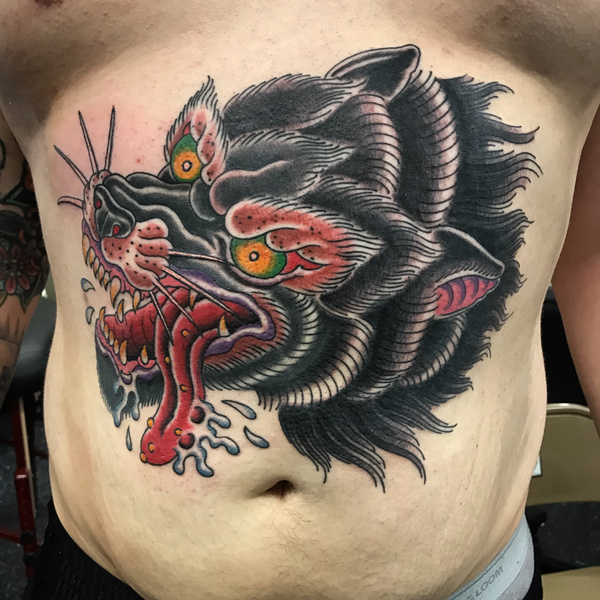 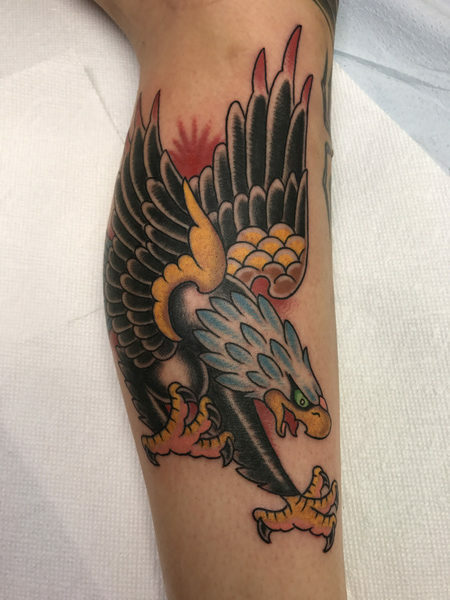 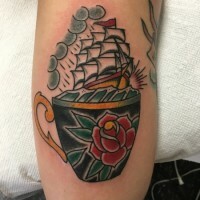 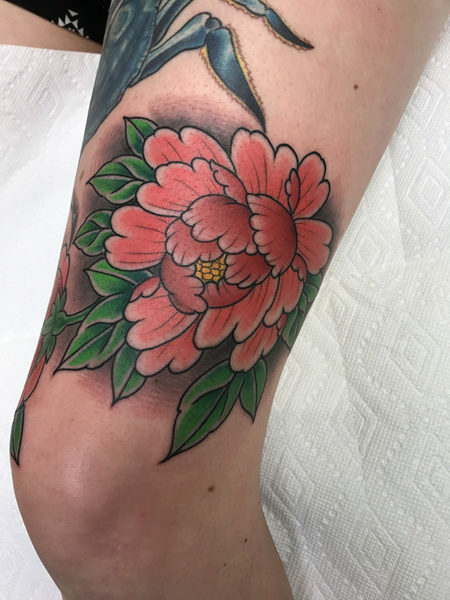 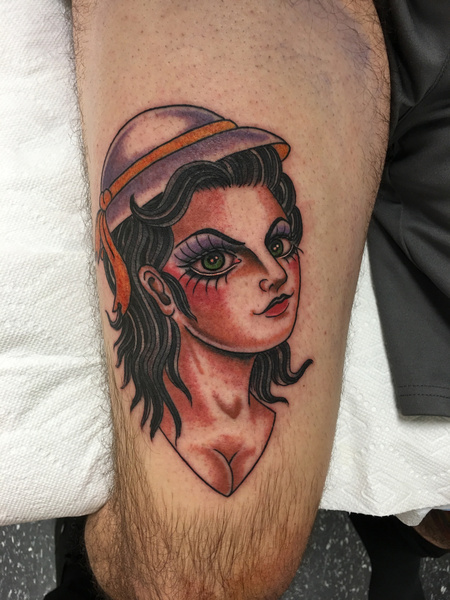 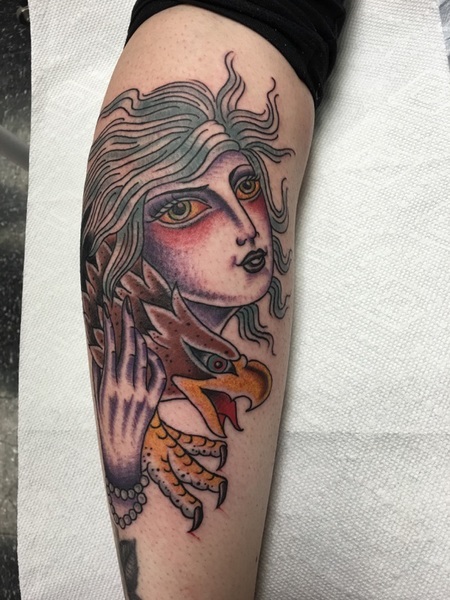 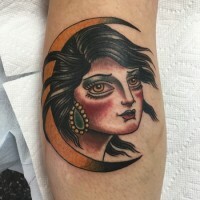 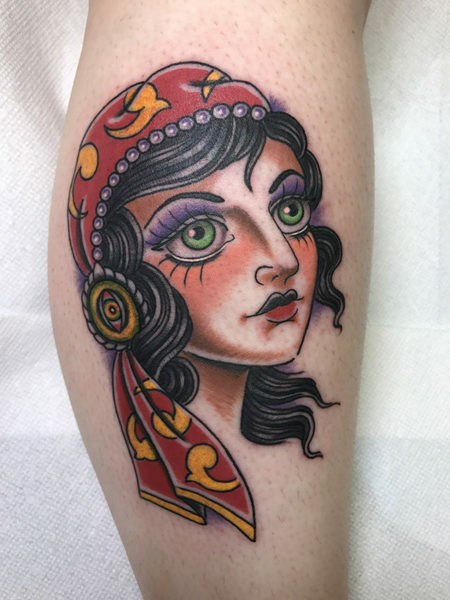 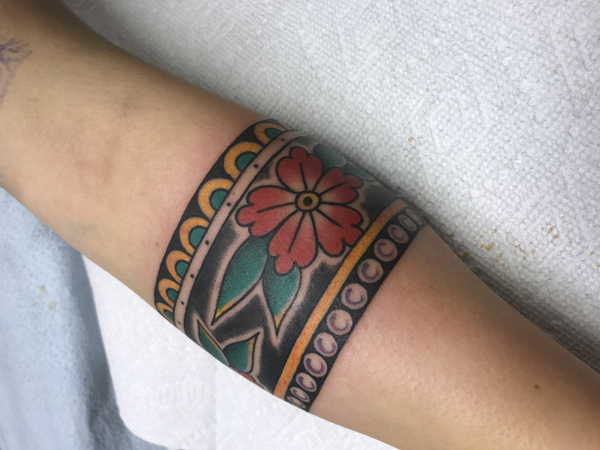 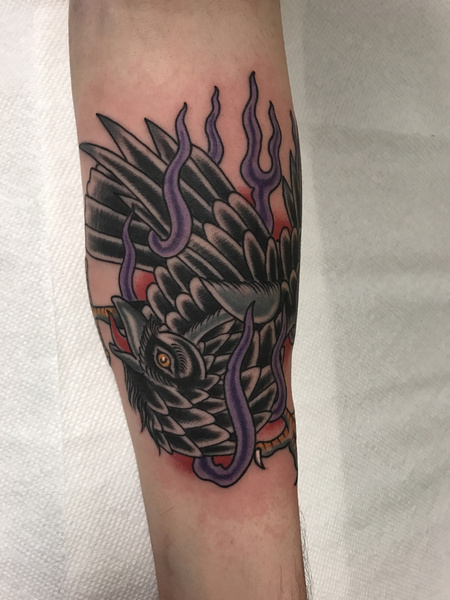 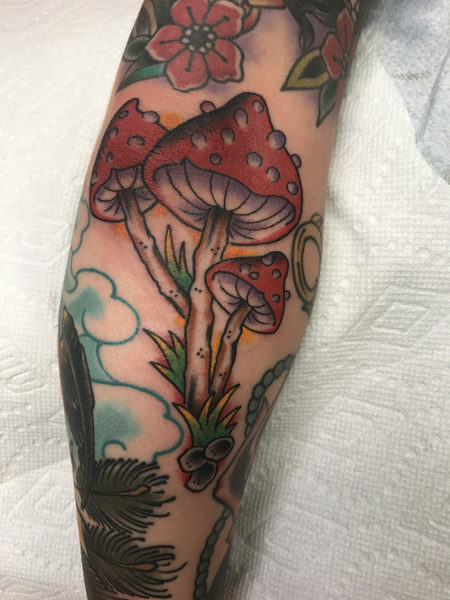 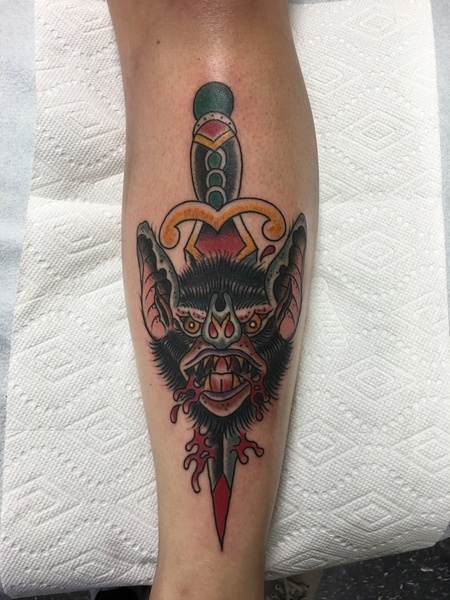 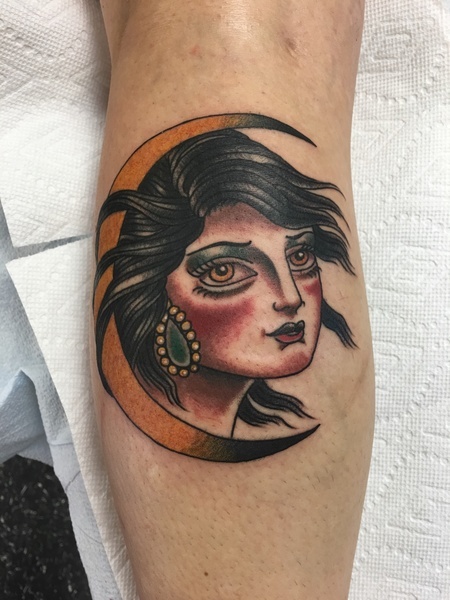 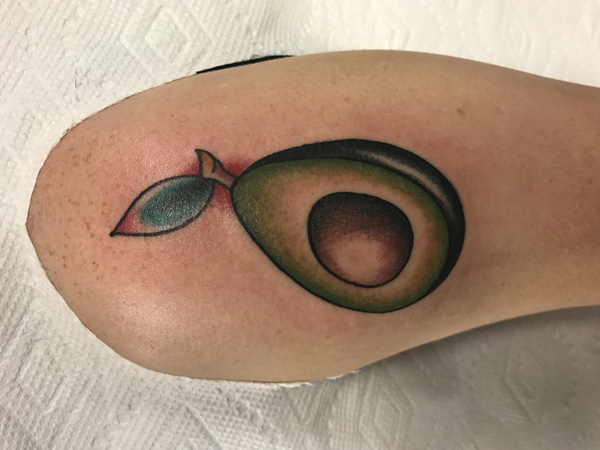 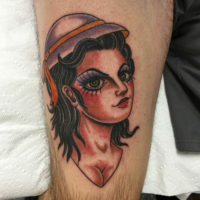 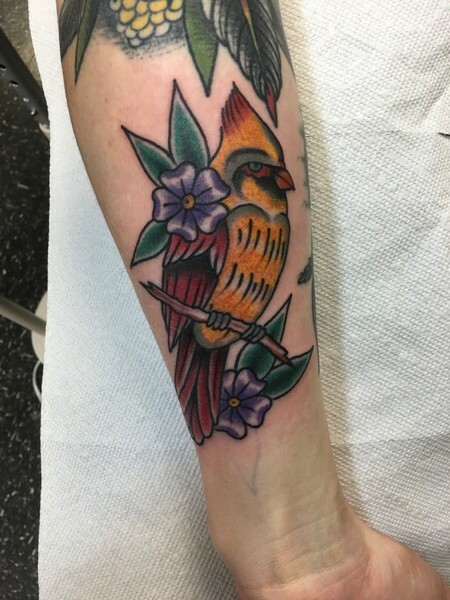 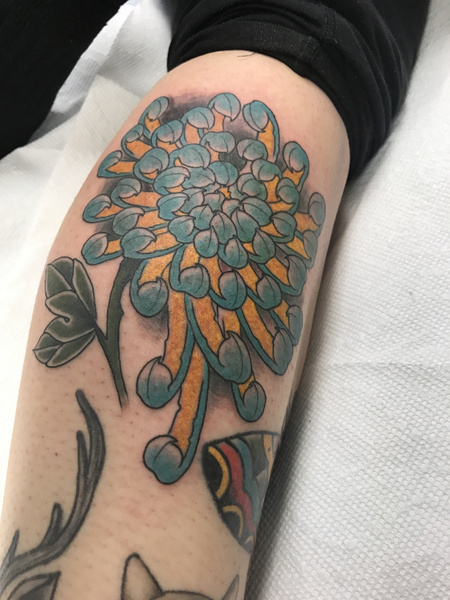 "My favorite style to tattoo in would be Americana or Japanese, maybe a combination of the two, but as always I'm down to make anyone's tattoo dreams come true. 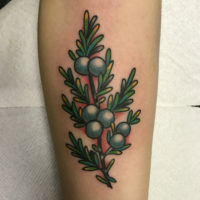 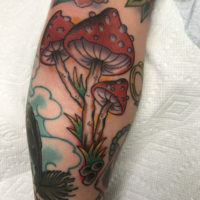 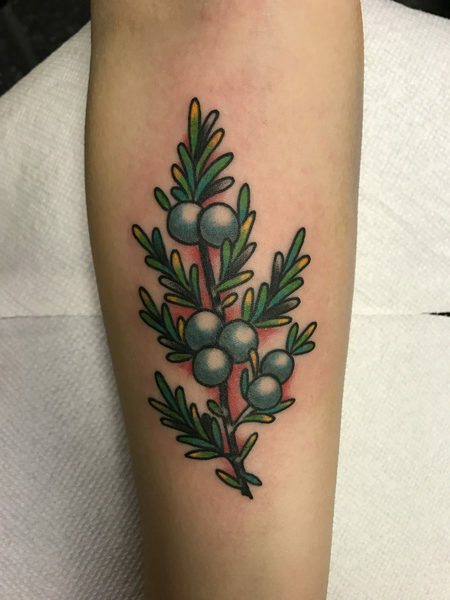 My ideal tattoo would probably be anything with a lot of energy and movement I like things to have a real graphic feel to them organic subject matter is definitely a favorite. 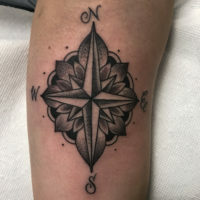 I absolutely love Lincoln, at first it seems huge especially coming from a small town but the cool thing is the longer you're here the more you realize that everyone kind of knows everyone and that's kind of a take away from small town living. 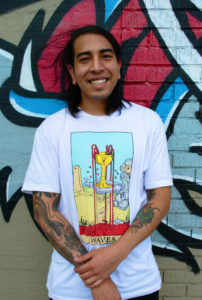 There's always something to do! 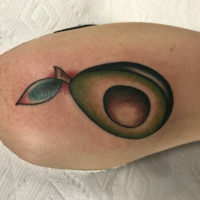 You can't be bored in this town.